I was looking around for a study and stumbled upon one about fish mimicry in Current Biology. What first caught my attention was its use of a video abstract. What a cool idea amped up a few notches by beginning with music reminiscent of Game of Thrones. Then I started to think back about posts I've done on predator-prey relationships and could only come up with 1, the One-Third for the Birds post back in 2012. Clearly it is time to revisit that topic. Oh, and while we’re at it, we’ll throw mimicry into the mix. Different prey species employ various options in predator avoidance including mimicry. Generally, mimicry is a strategy of looking, acting, smelling, or sounding like something else as an act of deception to gain protection. But prey species are not the only ones that mimic. Predators use it to get close enough to catch their prey. Blending into the background or looking like something familiar can be very useful in sneaking up on an unsuspecting prey animal. However, in both predator and prey, there is a huge caveat to mimicry - numbers. The mimic must be rare compared to their model. If the mimics are encountered too often then the predator/prey learns of this cunning deception and the mimicry becomes ineffective. This month Cortesi et al. published a short paper looking at body color and predatory behavior in dusky dottybacks (Pseudochromis fuscus). This small species (8 cm) is a generally solitary and aggressive predatory reef fish native to the southwestern Pacific Ocean and eastern Indian Ocean. 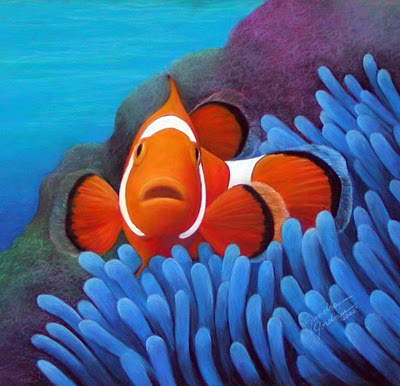 The fish are usually found in association with branching corals (e.g. Cauliflower corals [Pocillopora] and Staghorn corals [Acropora]), setting territories where they love to hunt and eat juvenile coral reef fish, particularly the similar-looking damselfish. Individuals range in color from yellow to a “dusky” purple/brown. 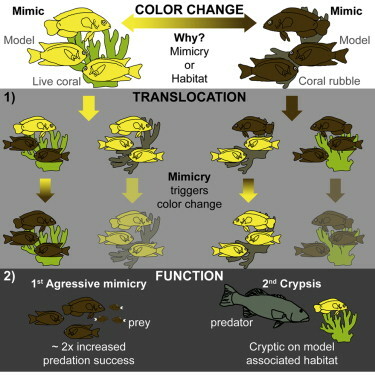 The researchers based their experiments on 3 interesting facts: 1) when the dottybacks matched the color of other reef fish they increased their hunting success, 2) dottybacks have been shown to change body coloration within 2 weeks when translocated to a different, dark colored reef and 3) dottybacks aggressively mimic similarly colored adult damselfishes. Does one color work better than another? Are there cues that drive the color change? 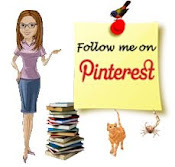 To test this, they set up sites at Lizard Island, Great Barrier Reef, Australia. Ya know, given the option, that's probably where I’d do my research too. They collected dottybacks and adult damelfishes and assessed the home ranges of the yellow and brown dottyback color morphs. Then, to look at the genotypes associated with different color morphs, they used microsatellites on fin clips from fish from three lagoon locations. Next, they conducted a translocation experiment. They found an open area and created a small patch reef using pieces of live or rubble coral. A total of 15 yellow damselfish (Pomacentrus amboinensis, P. moluccensis) and 15 brown damselfish (P. chrysurus) of all size classes were placed on the patch reefs. Once the damselfish were adjusted to their new home, the dottybacks (tagged unique fluorescent elastomer markers) were added in a 2 x 2 x 2 design (dottyback color x damselfish color x habitat type, each with 2 levels: yellow/brown dottyback, yellow/brown damselfish, live coral/coral rubble). Once all of the fish were on the patch reef, they were observed for predation and body color (using spectral imaging, skin biopsys for histology, and lots of mathematical models). The researchers also conducted a very similar experiment using controlled conditions. Damselfish and dottybacks were caught and placed into experimental aquarium tanks containing live and rubble corals. Both juvenile and adult damselfish were acclimatized to a tank before a dottyback morph was introduced. Then strike rates of dottybacks directed at the damselfish were recorded. Then they conducted a prey color choice experiment to examine if dottybacks had a preference for a particular colored prey fish, again in the experimental aquariums. Considering that dottybacks aren't just predators but also prey for larger fish, the researchers tested to see if dottybacks also benefit from matching the color of the habitat using coral trout (the predator) in controlled choice tanks. Whew! That’s a lot of experiments for one little report paper. In the field, they found that yellow dottybacks associated themselves with live coral and yellow damselfish, and brown dottybacks associated with coral rubble and brown damselfish. The translocation experiment showed how the color of resident adult damelfish induced color change in the dottybacks in patches where their colors were mismatched, independent of habitat type. The skin biopsies showed that unlike other species of fish, the dottybacks did not achieve this change by altering the number of chromatophores (pigment containing cells that reflect ligh) but, rather, the ratio of xanthophores (yellow pigment cells) compared to melanophores (black pigment cells) alters. In the aquarium experiments, they found that dottybacks were three times more successful in capturing juvenile damselfish when their color matched that of the adult damselfish. This bit of deception works on the fact that the juveniles are less vigilant when they perceive all bigger fish as harmless adult damselfish. The strike rates showed that dottybacks prefer to go after prey fish of the same coloration to themselves, but, when mismatched, brown dottybacks are more likely to have successful strikes than yellow ones. When the dottybacks became the prey species, coral trout were found to strike more often at fish that were color mismatched to the background. This means that the color change has a secondary camouflage benefit and possibly a dilution effect when they are associated with similarly colored damselfish. Collectively, these experiments uncovered a novel mechanism of the mimicry game: phenotypic plasticity. Phenotype is an organism’s observable characteristics (how it looks), and plasticity describes a quality of being easily shaped or molded. Phenotypic plasticity is one of those rare scientific words that means exactly what it sounds like: the ability or an organism to change its characteristics in response to the environment. This plasticity allows the dottybacks to deceive their prey using multiple guises and thereby increase their hunting success with the added benefit of hiding from their own predators. Write-up by the authors on The Conversation: "The dusky dottyback, a master of disguise in the animal world."